As much as I like to romanticize the idea of being “unplugged,” the reality is that I’m definitely a bit dependent on my phone. (And let’s be real, if you think you’re not dependent on your phone in some way, shape, or form – you’re probably lying to yourself.) My phone is where I keep my life together; it tag-teams with my bullet journal to house literally everything I ever need to keep track of. 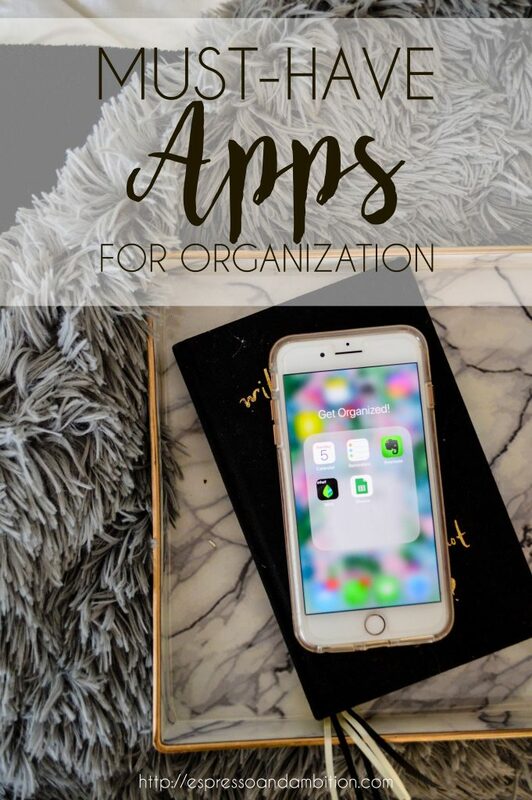 For today’s post, I’m sharing my five most important apps for organizing my life. This is completely unsurprising, and totally unoriginal because everyone has this app. But I really love iCal, ya know? 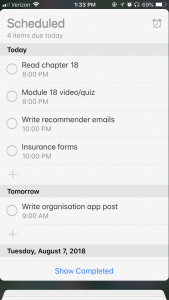 It’s nice that it syncs across all my devices, so that I never forget where I need to be at a given time and what I need to get done in a certain time window. I also use it to schedule out important things as all-day activities, like blog posts or bills being due. This is the app that allows me to maintain my sanity, y’all. 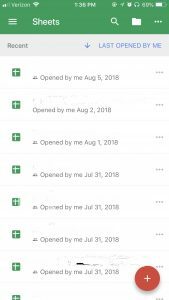 I have a couple different tabs with different themes (work, blog, law school apps, NASM, miscellaneous), and I can have an ongoing massive to-do list – and also assign deadlines to some, in order to ensure that I actually get them done in a timely manner. Especially now that I’m in the “real world” and don’t have a lot of externally-enforced deadlines, establishing my own deadlines for projects is absolutely essential. 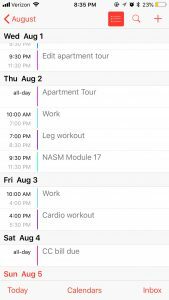 Everyone uses this app differently – I know people who put to-do lists here, or grocery lists, or you name it. Personally, I use it for all my workouts. 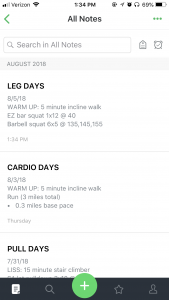 Tracking workouts is crucial if you’re trying to see real progress (because you can track upping weight/sets/reps/speed/etc. ), and it’s also super helpful for me when I’m putting together fitness content for YouTube or Instagram. It’s great because it syncs with my watch (meaning I don’t have to pick up my phone to remember how many sets I was planning on doing), and allows for way more formatting than the standard Notes app. Previously, I’ve used Excel to track all my budget-related stuff. 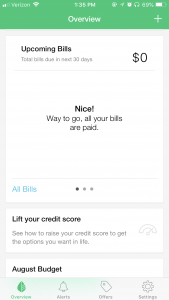 But recently I made the switch to Mint – it’s fantastic because it’s much more automated than my previous method, since it’s synced with my bank account/credit cards. The budgeting tool is incredibly handy, and allows you to get a great visual representation of your spending for the month. I love spreadsheets, like, way more than the average person should. I used spreadsheets to track my job application processes and my apartment search, and I recently started using one for blog stuff – because I’m working full-time, I have a much smaller window of time to get content ready, and that requires a bit more planning ahead than I was accustomed to. Conditional formatting is my best friend for making spreadsheets look super color-coded and awesome. All of my most recent spreadsheets are work-related, so that’s why the titles are hidden, lol. Do you use any of these apps? Or have any favorites of your own? Let me know! Google calendar helps me keep my life organized. Whenever I stumble across an event I’d like to attend, I add it to Google calendar. At the start of the week, I go through all of the events I’ve added into my calendar to decide what I’m doing each week. I then add what I’m doing each week into my Day Designer. It sounds like quite a process, but it really isn’t now that I’ve done it so many times. 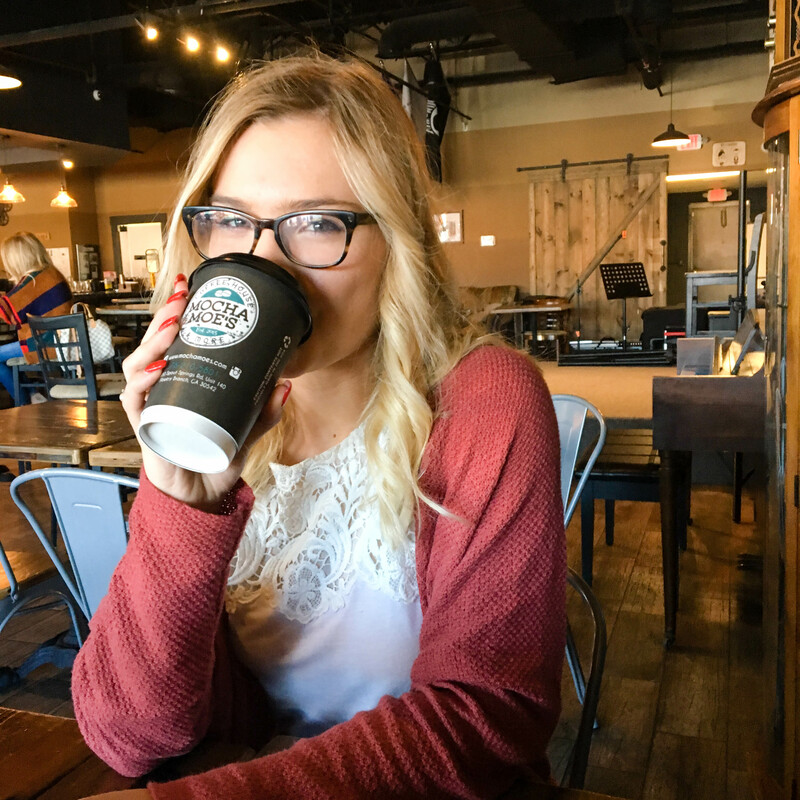 I’m the same way – I love having everything written out both online and on paper!